It's always hard when you've got to sacrifice your hard-earned cash to The Man on Tax Day. But take note: some of our favorite stores and restaurants are offering free and cheap spoils to make the day a little less painful. Deal: Treat yourself and someone else to ice cream from Baskin Robbins! Print out or show the online coupon to get BOGO free ice cream cones. Deal: If you get your taxes filed a day early, celebrate with a free cone from Ben and Jerry's. Stop by any time from noon to 8 p.m. on Tuesday for the deal. Deal: Show the coupon on your phone or print it out to take $10 off your next Bonefish Grill visit. There is no minimum purchase required. 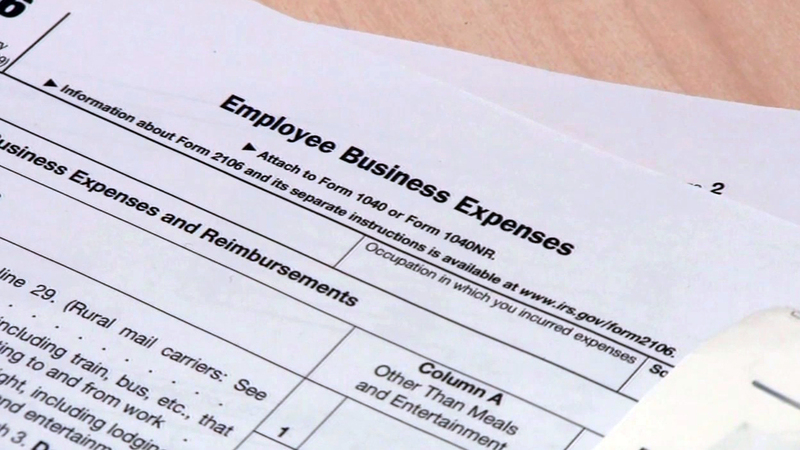 Deal: On Tax Day, you can eat out without breaking the bank. Buy One individual meal and get the second one free. There's no coupon required, but there is a limit of three BOGO offers per person. The deal is valid with any individual meal, whole sandwich, whole sandwich combo, salad bowl, or Market Bowl. Deal: Celebrate the end of tax season with a 1040 you'll love. Get a Big Bagel Bundle, which is 13 bagels and two tubs of cream cheese for $10.40. 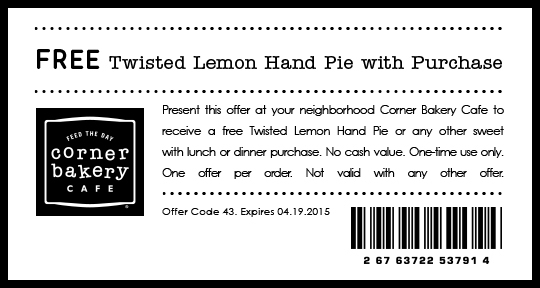 Deal: Stop by Corner Bakery Cafe for lunch or dinner on Tax Day, and they'll throw in a twisted lemon hand pie or any other sweet treat for free. Just show the online coupon to get the deal. Deal: The national gourmet cookie shop is continuing its annual Tax Day freebie tradition by offering a free regular sugar cookie to customers who stop by participating stores on Wednesday. You don't need to show proof of completed taxes, and there's no purchase necessary. Deal: On Tax Day, the Hard Rock Cafe is cutting taxpayers a break by allowing them to sing for their supper. Get on stage and sing your favorite song, and you'll get a free Local Legendary Burger. Deal: Hydromassage is taking the stress out of tax time by offering free massages all week long. The traveling jet system employed by the HydroMassage bed offers a full body massage, which will hopefully help you leave your worries at the tax office. It is strongly encouraged that you call ahead to schedule an appointment. Deal: To save those precious pennies and rid yourself of that pile of paperwork after the ordeal, you can shred 2 lbs. of documents for free at your local Office Depot or Office Max. Deal: To make the end of tax season a little sweeter, Orange Leaf Frozen Yogurt will offer an exclusive discount to their Facebook fans to fill up their cups with froyo (up to 16 ounces) and toppings on 4/15 for $4.15. All froyo enthusiasts are encouraged to "like" Orange Leaf on Facebook and claim the offer when it is posted on April 14. Deal: The National Pizza Return is a form you can fill out and mail in for your chance at dozens of prizes. Two grand prize winners will receive a $50 Pizza Hut gift card. Thirty other first prize winners will get $20 gift cards, while 30 more people will walk away with a $10 gift card. There isn't an e-file option - you must fill out the form by hand and mail it in. Deal: Schlotzsky's is serving up "The Original" sandwich for free in small sizes with the purchase of a 32-ounce drink and a bag of chips. Deal: Drive in and dine in at Sonic to half price cheeseburgers all day April 15. There's no coupon required. Deal: Take up to 5 lbs of documents to Staples and they will shred them for free. Just show the online coupon to get the deal.